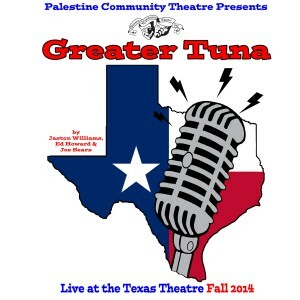 Greater Tuna, written by Jaston Williams, Joe Sears and Ed Howard, is the hilarious, truth-laced comedy about Texas’ third smallest town, where the Lion’s Club is too liberal and Patsy Cline never dies. 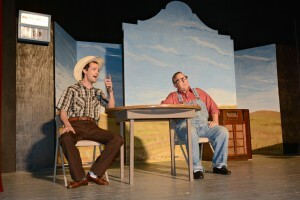 Greater Tuna is a no-holds-barred snapshot of rural life in Texas, filled with characters you are sure to recognize from your own hometown. Everyone who has ever lived in a small town will find something or someone to relate to in Greater Tuna, from the gossipy, pious biddies to the little scandals that bubble up and get everybody talking. 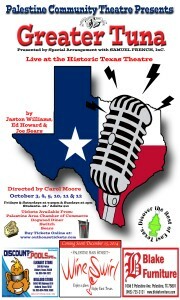 Directed by Carol Moore, John Lamb and Gerry Goodwin play twenty colorful characters that make up the town of Tuna. 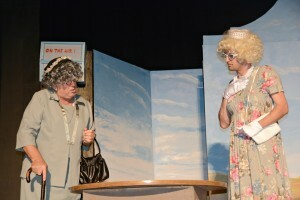 Lamb and Goodwin play men, women, children and animals with lightning fast costume changes to depict all of the inhabitants of Tuna. Amidst the laughs and the giggles, Greater Tuna has some pithy things to say. Though some of the characters may seem over the top in their attitudes and beliefs, they are very recognizable. Little Lake Creek Wilderness Huntsville, TX. A moderate day hike along the Lone Star Trail into the Little Lake Creek Wilderness. Attractions include a Small East Texas Wilderness area and mature forest. 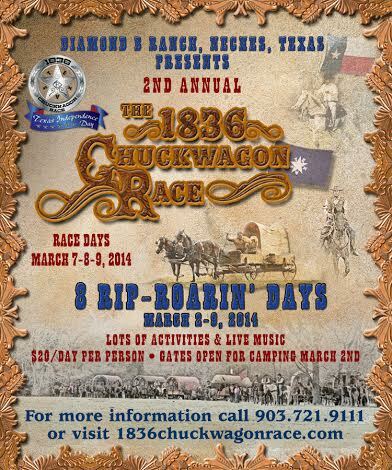 NECHES- The 1836 Chuckwagon Race and preceding week’s events are scheduled for March 2-9, 2014. The 1836 Chuckwagon Race takes place the first weekend in March every year at the Diamond B Ranch in Neches, Texas.Five classes of wagon races: Bronc Fann’n, a cowboy style match race, Pasture team roping and cowboy mounted shooting make this a truly unique western event. The gates are open to camping a week prior to the race. Folks are encouraged to come early, bring their horses, mules, wagons and participate in the many activities on the schedule. Activities include trail rides, dutch oven cook’n classes, cowboy poetry, herd dog demonstrations, hoof care clinics, bull whip demonstrations, horse auction, wagon race calcutta, barn dances, live music, cowboy church and much more! 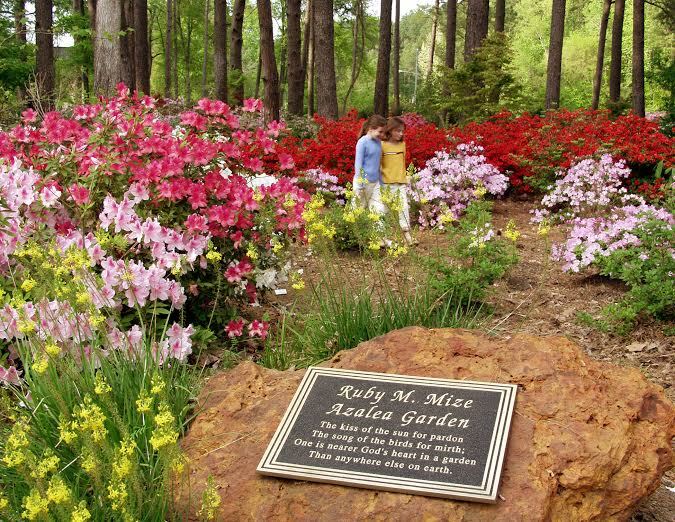 NACOGDOCHES – The sixteenth annual Nacogdoches Azalea Trail will usher in springtime in East Texas March 1-31, 2014 with a mixed bouquet of mainstay favorites.